METAL PULP AND PAPER: Hello Emily. I’m so glad to be catching up with you. Thank you for taking the time to speak with us here at Metal Pulp And Paper. We appreciate it. So, how are you doing? EMILY HIGHFIELD: I am really well, thank you. Thank you for your time. I am always happy to talk music. MPAP: Before we talk about your new release, Lunar Falls, let’s first introduce you to everyone, shall we? This is Metal Pulp And Paper, and we have the lovely Emily Highfield here with us who hails from Melbourne, Australia, and we’re going to talk about her new musical project called Suldusk. Is there anything else you’d like to add to that? EMILY: That all sounds good to me. 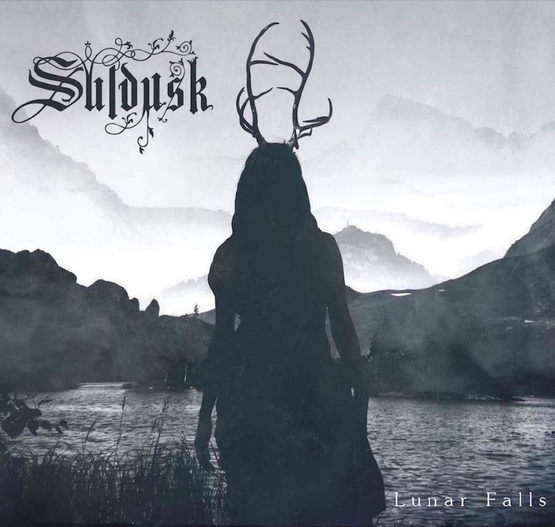 MPAP: First things first, you’ve called Suldusk music neofolk blackgaze. This might be a genre that some might not have quite heard of before. Can you give us a little bit more detail about it and what the listener can expect when listening to neofolk blackgaze for the first time? EMILY: Sure thing. Neofolk to me, is acoustic centered and inspired compositions. 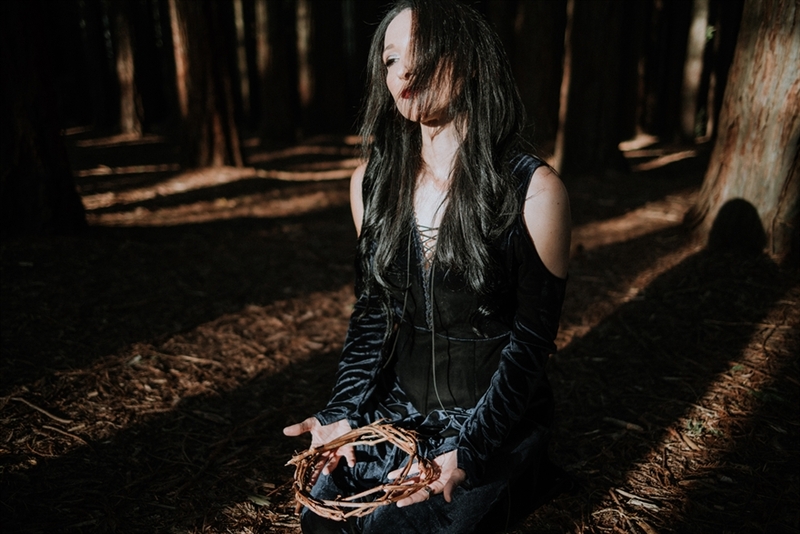 Blackgaze incorporates elements of atmospheric black metal and post rock - think shimmering electric guitars and washed out harsh vocals. I "live in" both those sub genres, so, it felt natural to combine them. Whilst I have been performing in an acoustic ensemble, with the two acoustics, tribal drum and cello, the studio was a great opportunity to elevate the atmospheres and track guitars in a way that captured that feel. MPAP: Now let’s talk about your new album, Lunar Falls, which is being released by Northern Silence Productions April 12th. After listening to it I’d like to say; it’s beautiful, it’s dark, and mesmerizing from start to finish? It engulfs you. What do you want to say about your first release? EMILY: Thank you so much for saying that. I am very happy with the album as a debut and a statement of intent as to what is to come. I am excited that the elements of both intimate and epic were realized, and that people are connecting with the sounds and the feel of the album. I love how some of the feedback is that while it is melancholy, there is an uplift to it. That is, that there is an interplay between dark and light, and to get a little esoteric, 'the dusk within' all of us. MPAP: You’ve also recently said, "It is very exciting to finally release, Lunar Falls, the first Suldusk album. It has realized my vision of fusing acoustic elements with post-rock and metal influences." Have you been pacing the floors waiting for this album to be released? EMILY: Yes, I have to say there were delays along the way. Production delays, then waiting for label issue to be sorted, and then the wait to actually release it. There is a lot of post-production work involved. It’s been a great learning curve though, and I am super happy with the people I am affiliated with. MPAP: One of the songs from it that stands out is, "The Elm," and it’s is an adaptation of "Sinking Ships," which was written by the late Aleah Starbridge of Trees Of Eternity, a Sweden based doom/death metal band. So, this song is the Trees Of Eternity’s music, but with different lyrics written by you. Very interesting, tell us more about this? EMILY: I heard the Trees Of Eternity album, Hour Of The Nightingale and was completely taken by it. When I heard very soon thereafter, that Aleah had passed away, it upset me deeply. Here was an amazing artist who would not get the chance to realize so many things. The words of "The Elm" just flowed out of me. I guess it is a song of nostalgia and an epilogue of sorts. I asked Juha Raivio if he consented my including it on the album and also about crediting Aleah and himself as co-songwriters, as "The Elm" would not exist without them. His reaction was astoundingly kind, which only furthered my admiration respect for Trees Of Eternity. MPAP: And speaking of Aleah, you also dedicated Lunar Falls in her memory? Did you ever get the opportunity to meet her, or watch her band live before she passed away in 2016 due to cancer? EMILY: Unfortunately, I did not. I discovered her music very soon after she passed away. The dedication is because she is a reminder of so many powerful elements. Preciousness of time, the power of gentleness, and a resilience to keep going even when things are proving insurmountable. Also, Hour Of The Nightingale is a masterpiece. MPAP: What about, "Solus Ipse," "Aphasia," "Three Rivers," and "Catacombs," what are some of these songs about? What profound dark messages are you trying to get across to the listener? EMILY: I don’t like to give direct interpretations of tracks. Rather, I would say, a consistent theme in the album is the suffering and sacrifice involved in the quest for self-identity. So many of us are misled and misguided as children as to what is the equation of happiness, instead of being encouraged to question and unfold ourselves naturally. We are indoctrinated and subordinated from so many angles. Nature is the counterpoint to that in so many ways. It is a place of solace and guidance. I find when I immerse myself in the surf or the forest, or the riverside, I accept and am guided by knowing the transience of it all and I am more in the moment than ever. All those tracks touch on this theme in one way or another. MPAP: Now, explain the writing process for Lunar Falls, since it is noted that Suldusk is a one-woman project? Did you write all the lyrics and music for it, and then had Mark Nelson, who plays guitar, bass, and keys on it take your thoughts and ideas and put a sound to it, and then all the notes he began putting together would eventually turn into a song just like you had envisioned it would be? EMILY: Suldusk is purely my vision. I had been working with another guitarist as my original concept was to have two acoustic songwriters (a la Agalloch). However, when he left the project, I realized there was an opportunity to see my own vision through completely unobstructed. As such, I then constructed the bones of all the tracks, lyrically, musically and conceptually in demos that I provided Mark. The only tracks where music was strongly inspired by others were "The Elm" and "Drogue." I had very strong ideas about the execution and the feeling I wanted to emit. Mark and the other session musicians had a strong idea of what I needed and especially what frequencies I wanted in order to realize the tracks. Mark was incredibly hard working. He assisted greatly in areas of knowledge that I lacked, which is what you would expect from such a high caliber producer. MPAP: And last, let’s talk about the cover artwork to Lunar Falls done by Narikka Photography. Tell us what he captured for your cover? EMILY: I always admired Aki Pitkannen’s work (Narikka Photography) for its symbolism, mythology and death themes. I loved this piece and immediately connected with him to use it for the album. It depicts the threshold towards Lunar Falls and the character moving towards that space. MPAP: On behalf of myself and Metal Pulp And Paper, I’d like to thank you, Emily, for doing this interview. We look forward to what Suldusk does to finish out 2019 and beyond. EMILY: Thank you so much for your space and time. Greatly appreciate it. MPAP: Any last words to all your fans out there reading this? EMILY: Greetings to all Metal Pulp And Paper readers from the southern depths of Australis!